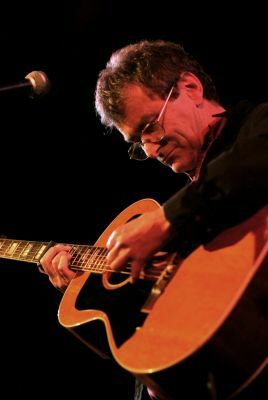 Steve Ashley‘s songs have been recorded by Fairport Convention, Anne Briggs, Dave Pegg and PJ Wright, The Arizona Smoke Review, Martin and Jessica Simpson, Grace Notes, Phil Beer, Maggie Boyle, The Bushwackers, The Owl Service, Sproatly Smith, Hannah Sanders and Liz Simmons. Since the 1960’s Steve has written and recorded songs such as Fire and Wine, The Rough With The Smooth and Over There in Paradise. Steve’s last album Time and Tide was released in 2007 when he last appeared at TwickFolk. This year he returns with the album This Little Game, and we we are delighted to have him back. John Prosser was born in the Iron town of Tredegar and spent his formative years growing up in the valleys, in a South East Wales mining community. He is familiar to TwickFolk regulars, as his accompanist, our very own Paul Vile.